Sewing Bodkins are flat or round and they have large eyes for threading cords, tapes and elastics. 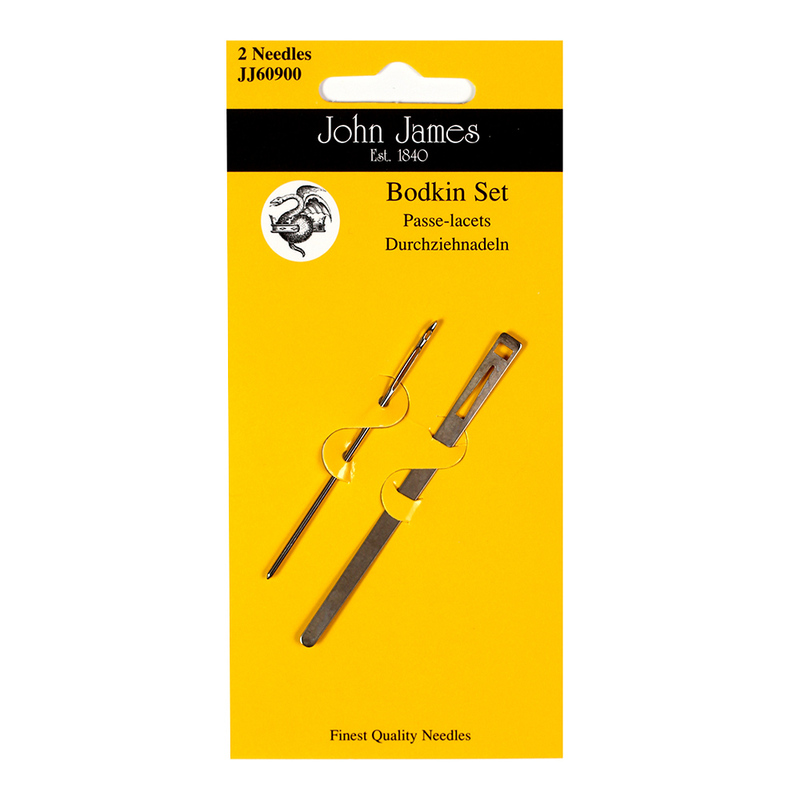 This kit contains a flat tape threader and a sewing bodkin. The sewing bodkin features 2 eyes, therefore it is classed as 2 sewing needles in 1. The smaller threading eye is ideal for thread and the larger eye is more used for tapes and elastics, or indeed yarns.